Gentlemen of Leisure: "NOBODY puts Baby in a corner!" WTF is up with that Tattoo? I believe the tattoo is self-explanatory. 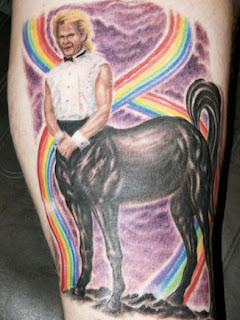 Swayzaur: a creature with the bottom half of a horse and the top half of Patrick Swayze.